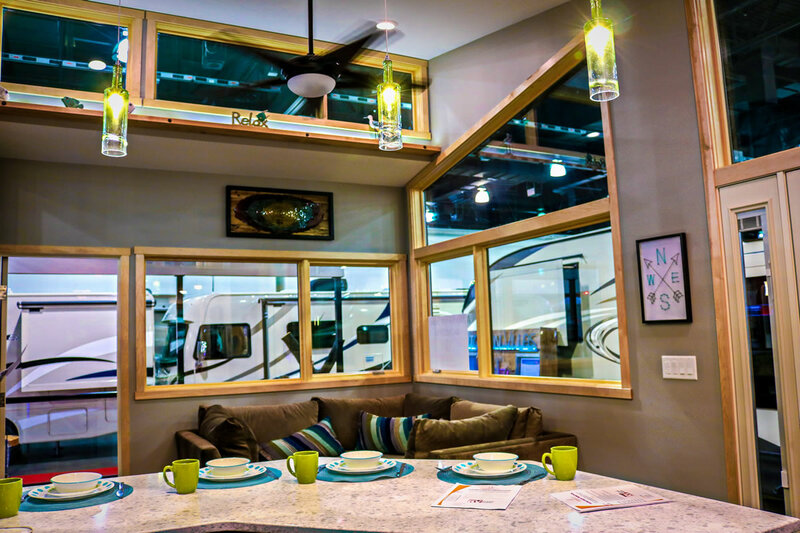 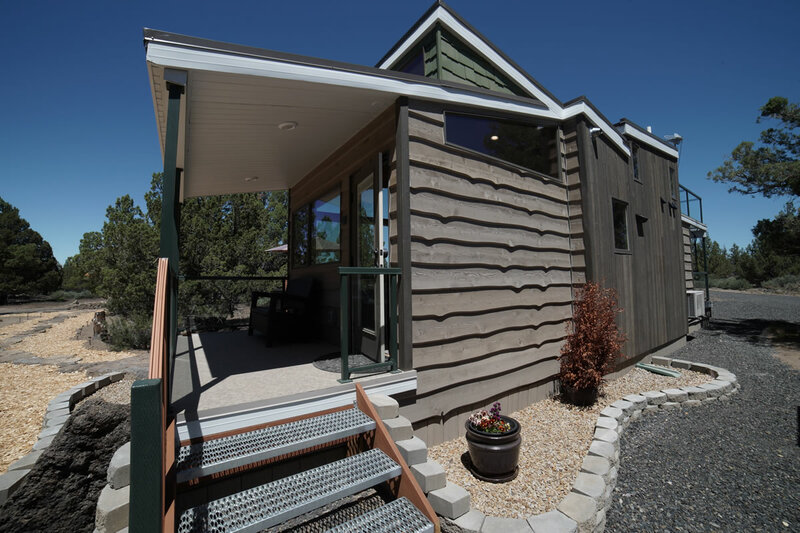 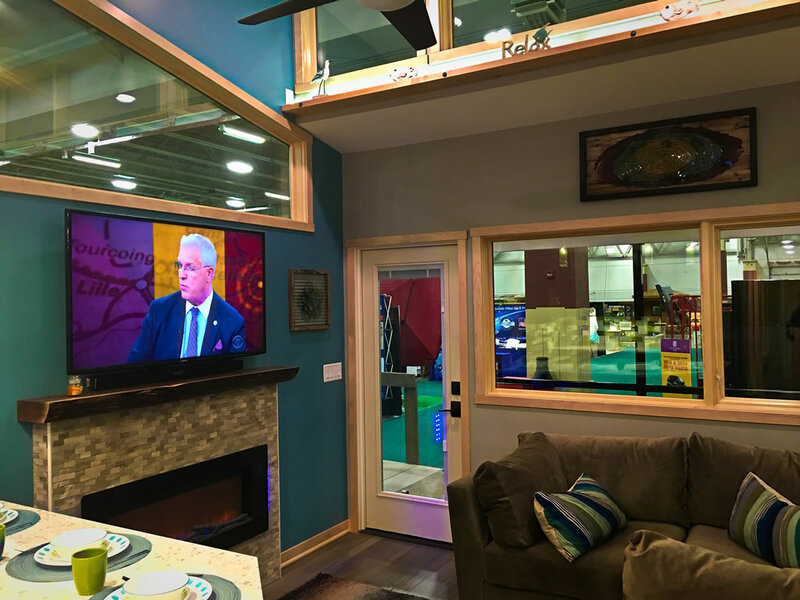 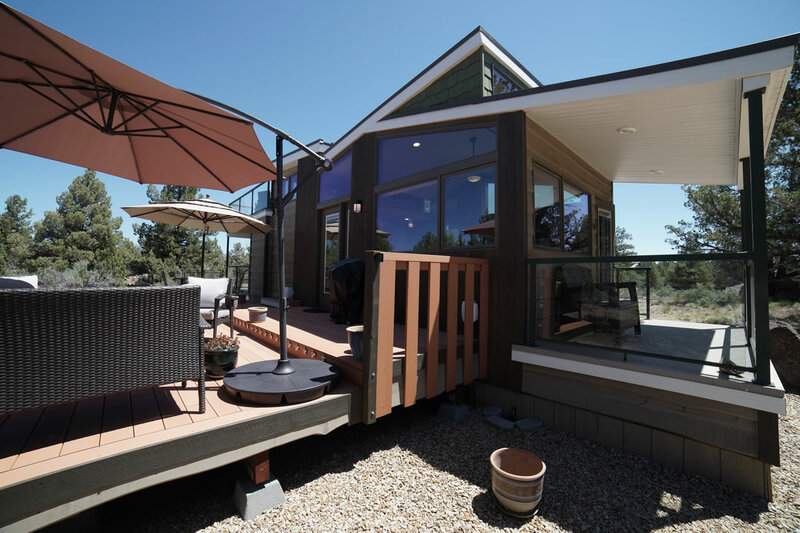 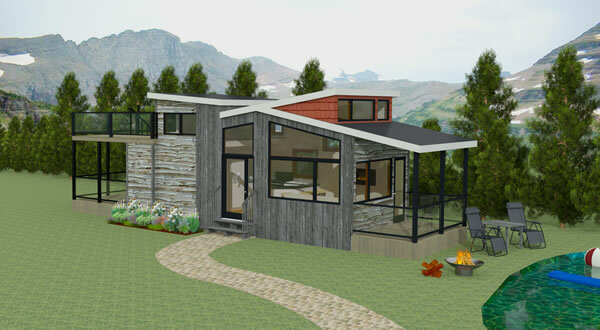 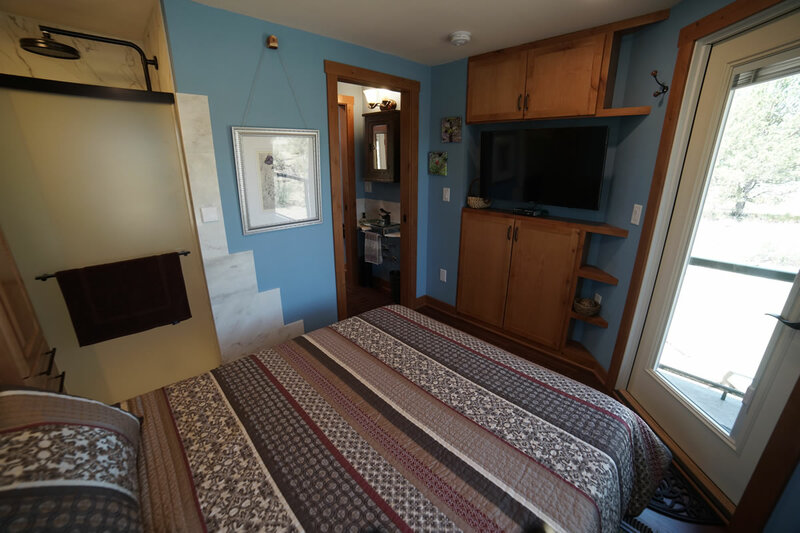 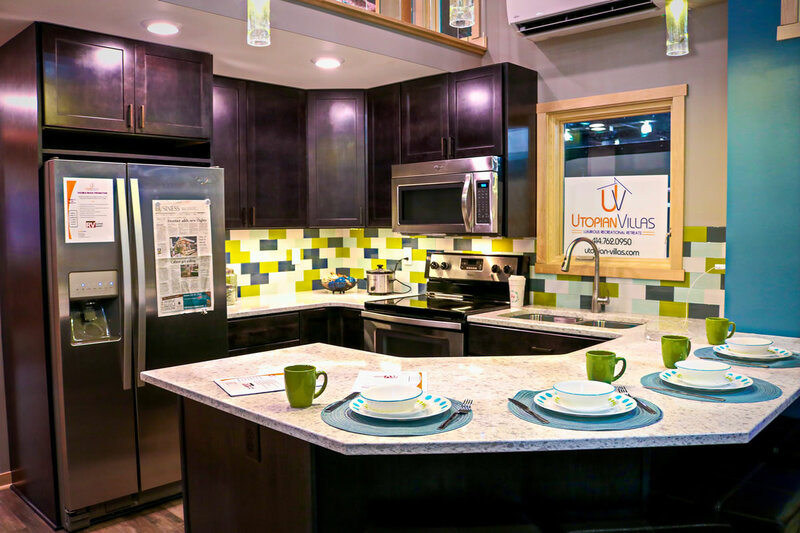 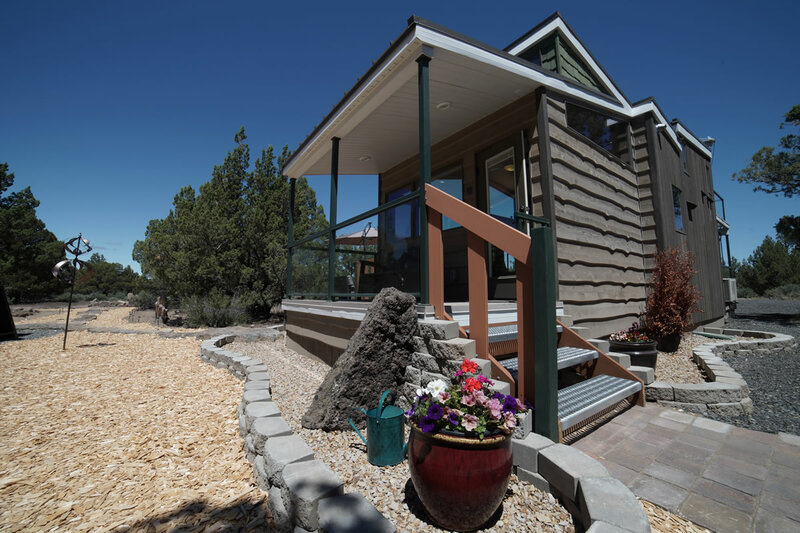 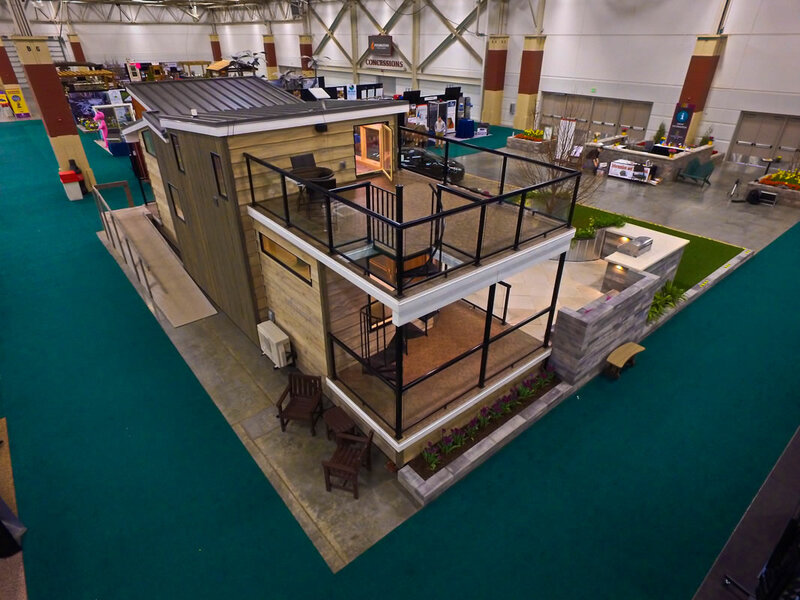 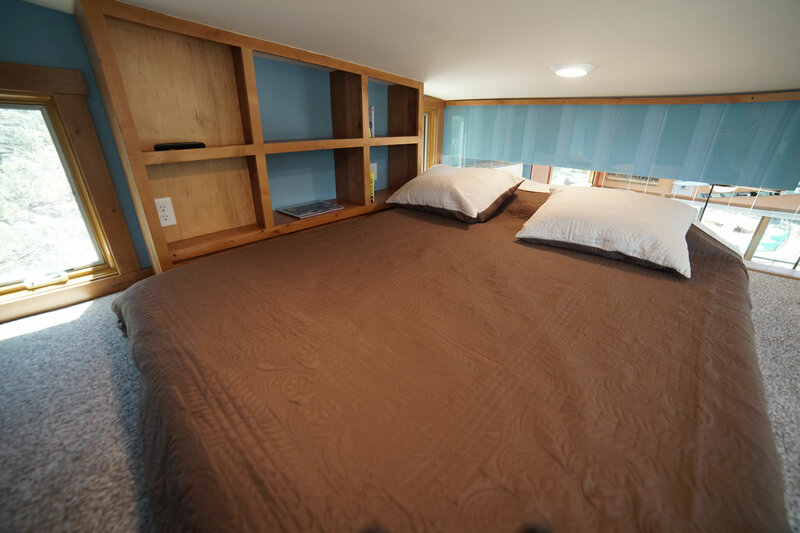 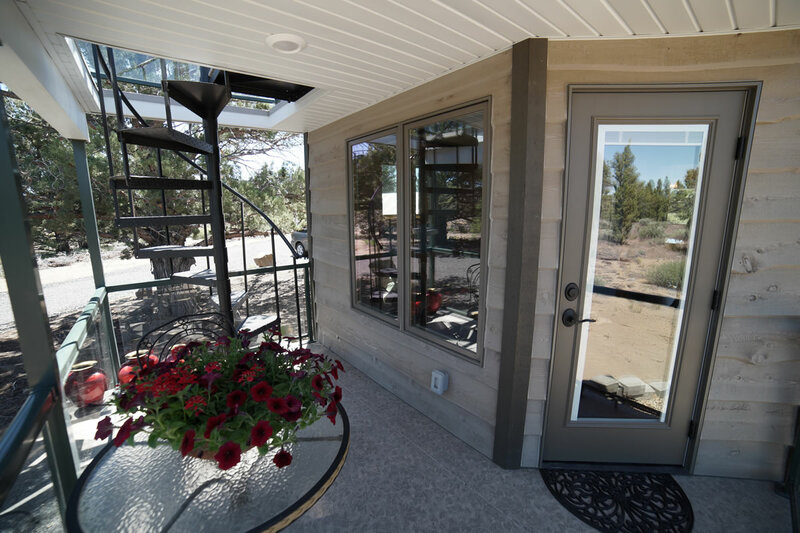 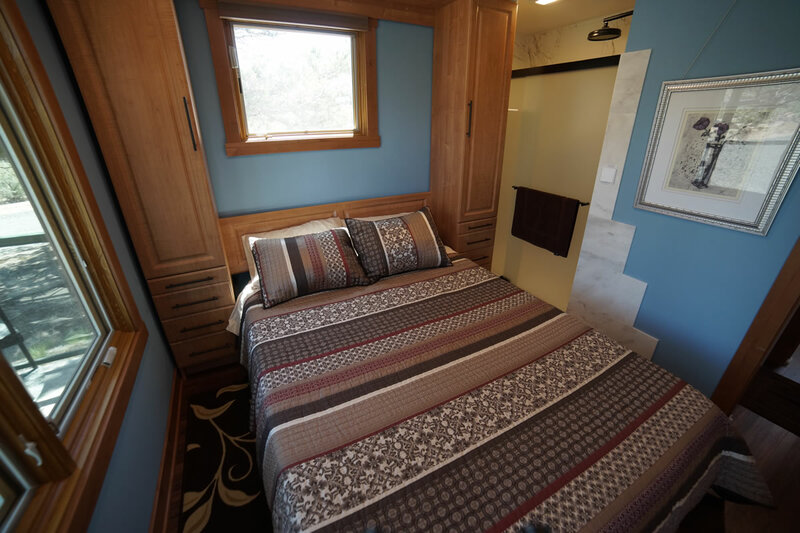 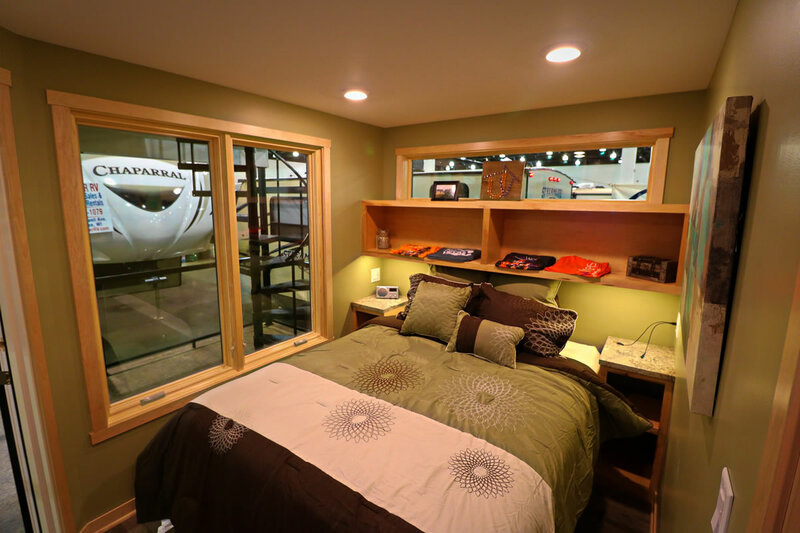 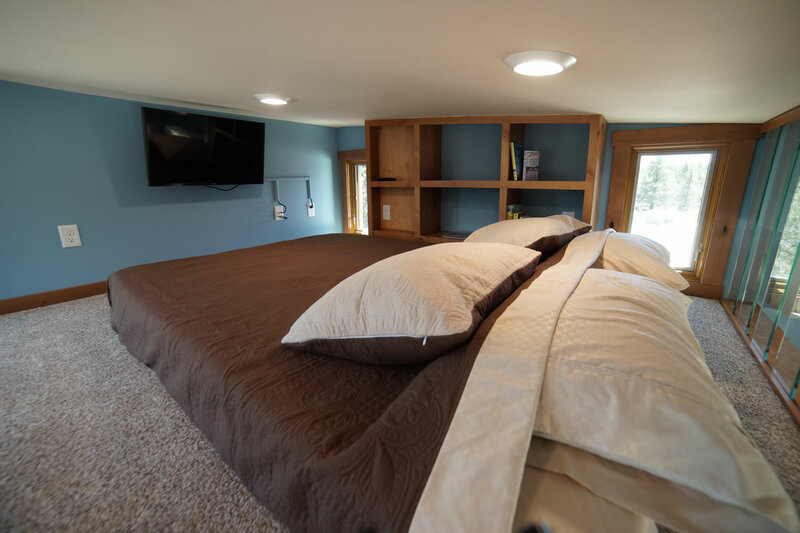 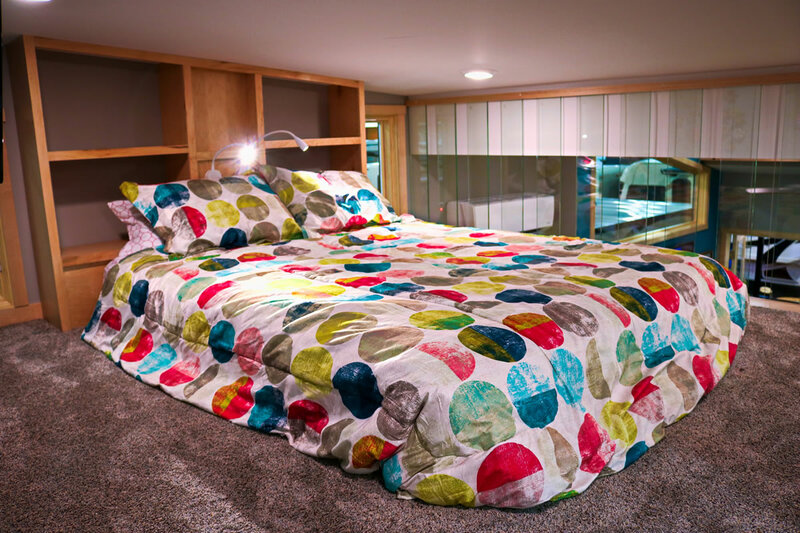 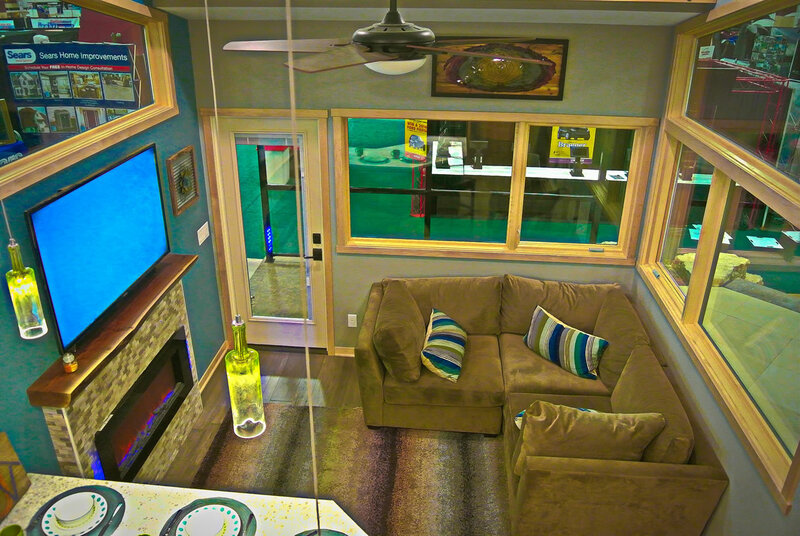 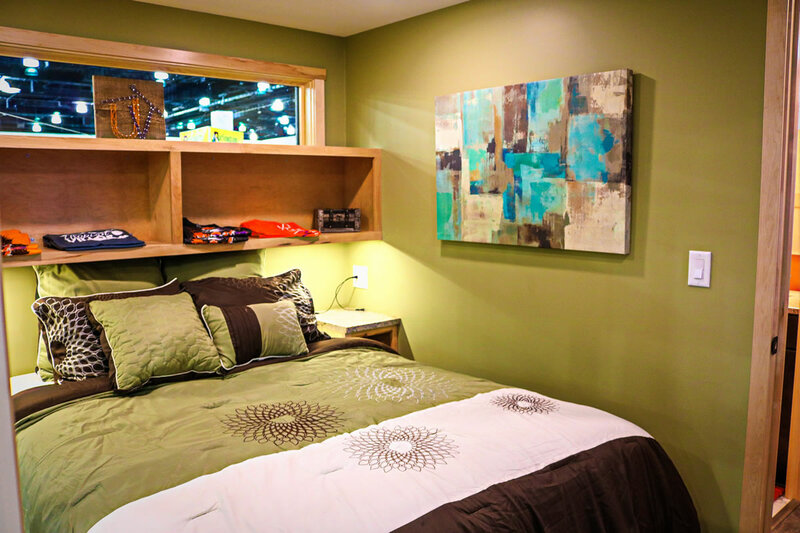 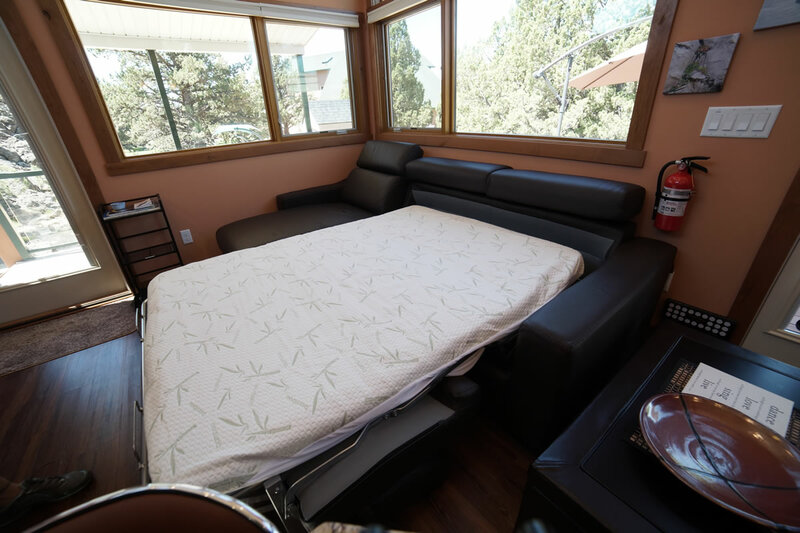 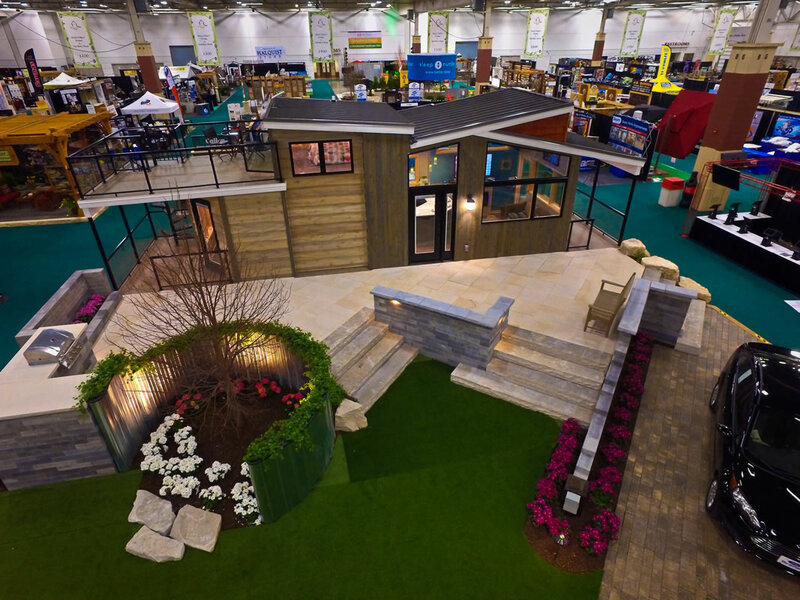 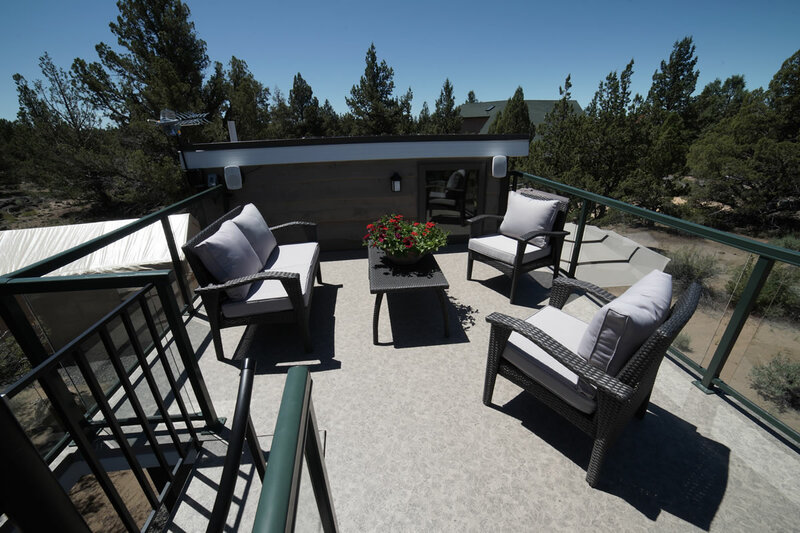 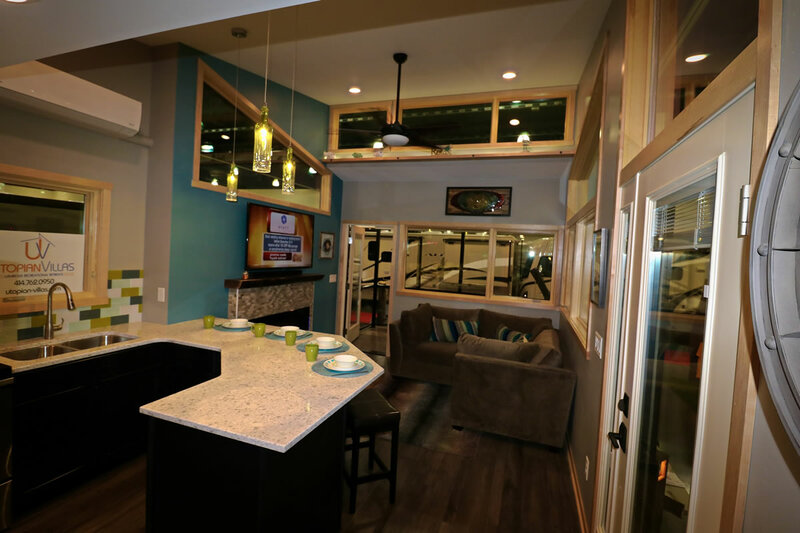 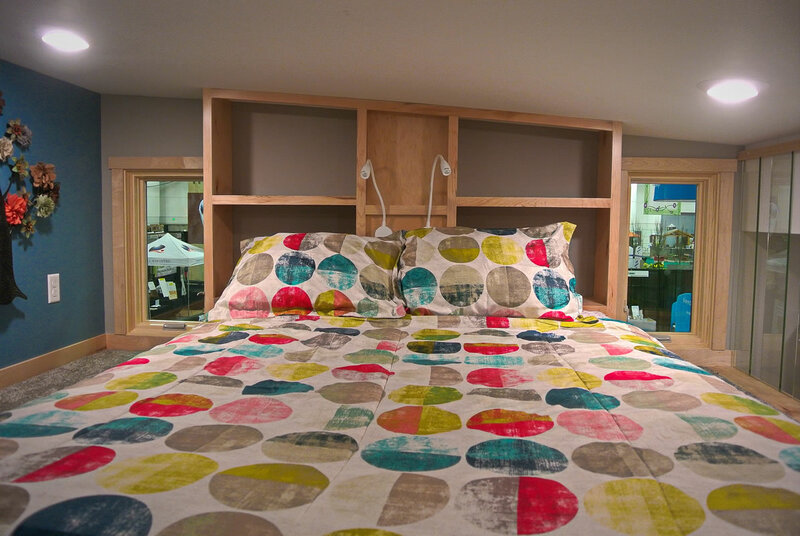 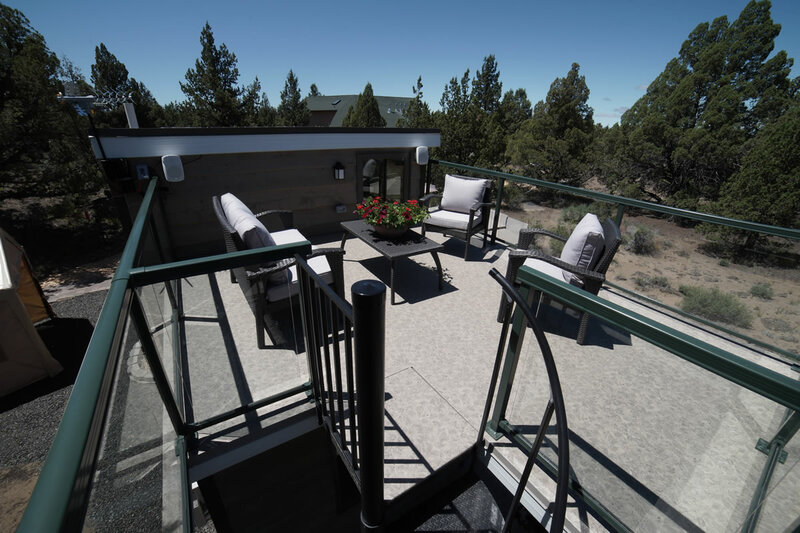 Utopian Villas’ Denali park model tiny home is designed to be the perfect home away from home, an ideal respite from the daily grind. 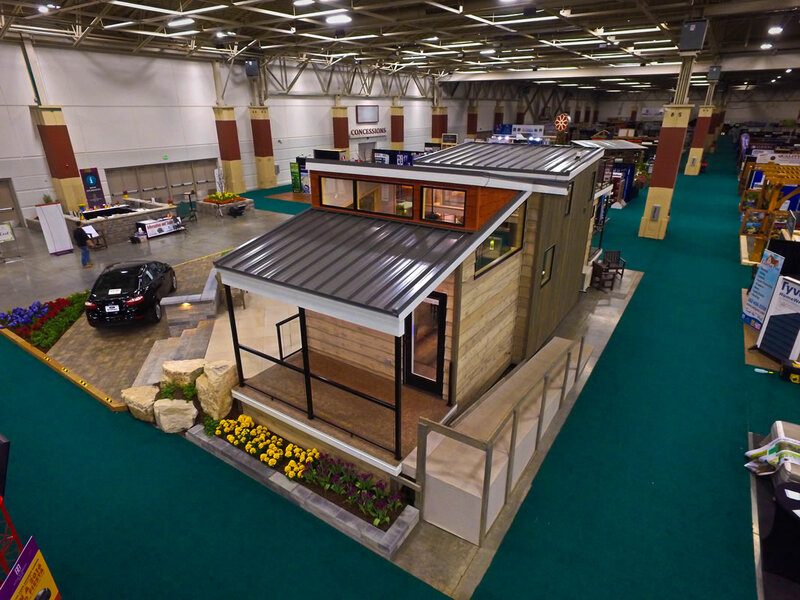 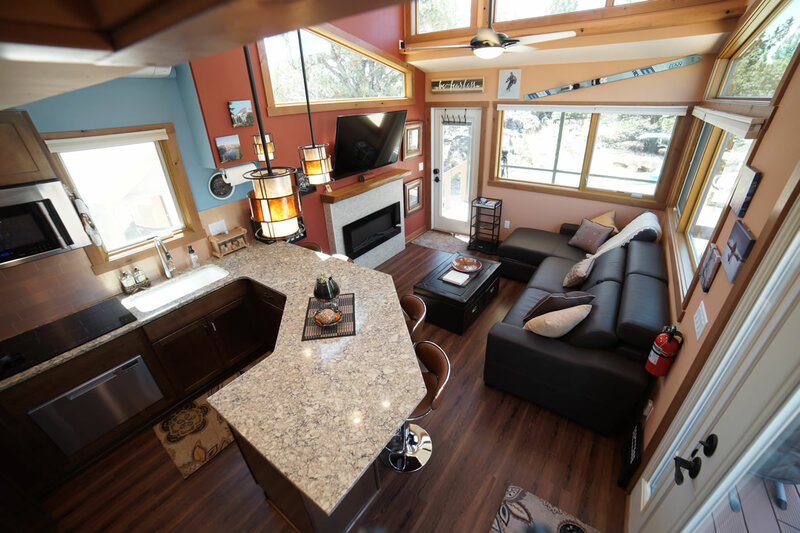 Clocking in at 400-square-feet, the Denali tiny house gives you all the room you need, with luxury amenities for the whole family. 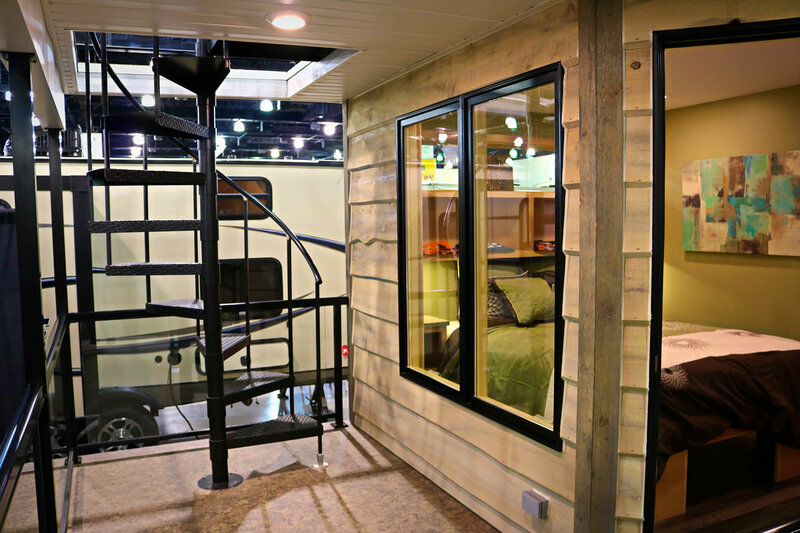 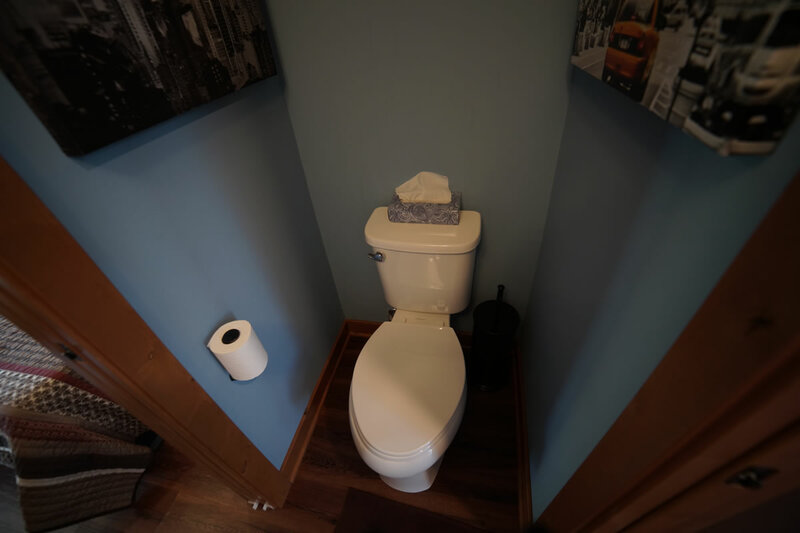 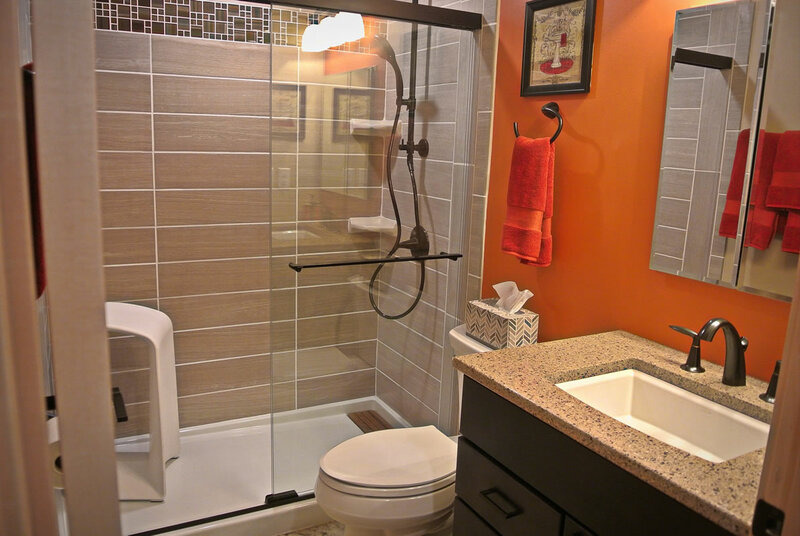 Kohler plumbing products and a patented insulated floor system contribute to this unique tiny house’s conveniences, and with ample storage in-floor and access to an upper deck via spiral stairs or the loft entry, you’ll never want to leave. 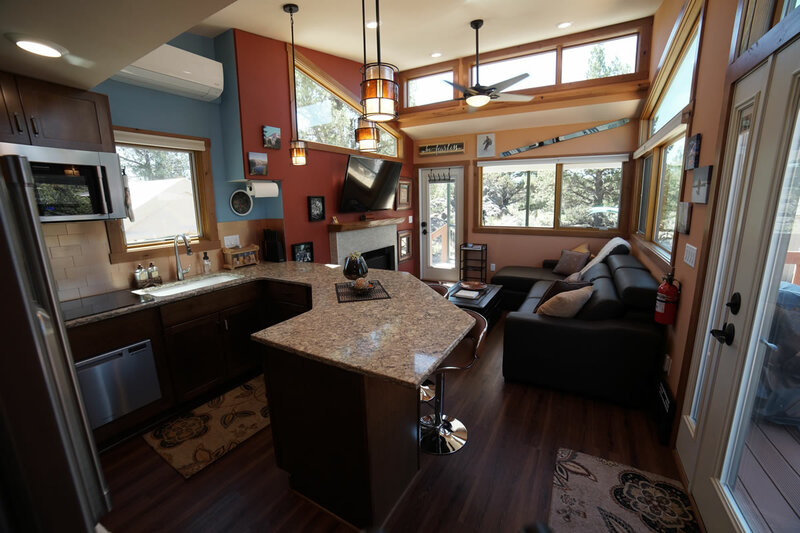 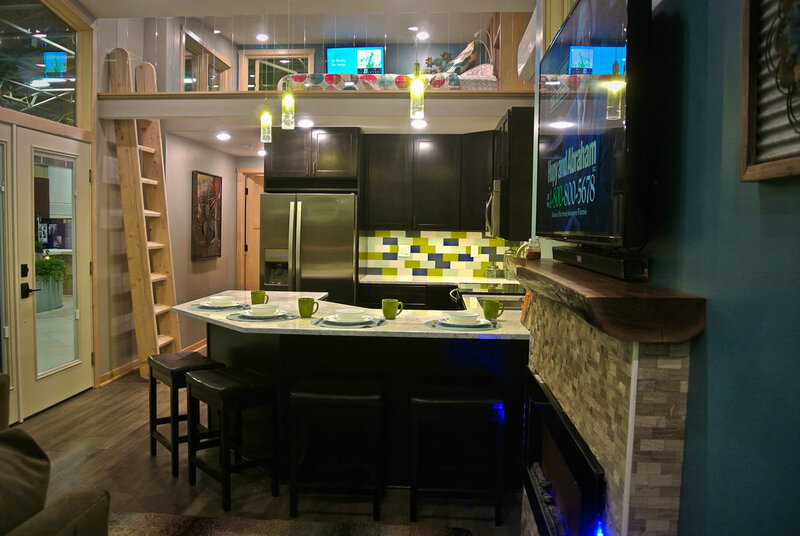 Our Denali model tiny home also features a unique wrapping kitchen island, perfect for entertaining or just having a family dinner. 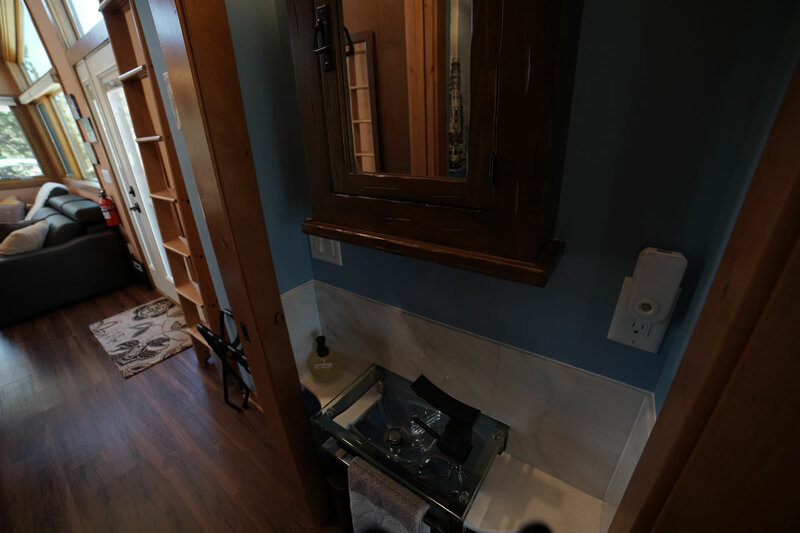 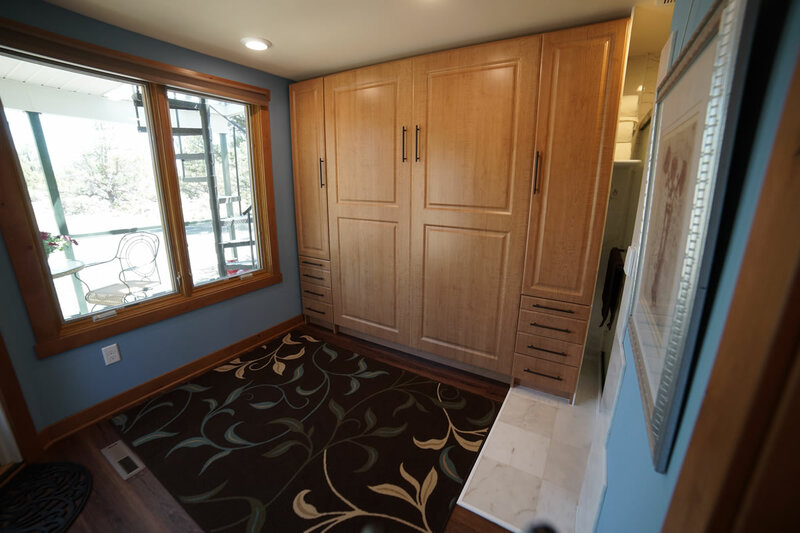 Custom-built Merillat cabinets and a spa-like shower experience contribute to the Denali tiny home’s luxuries. 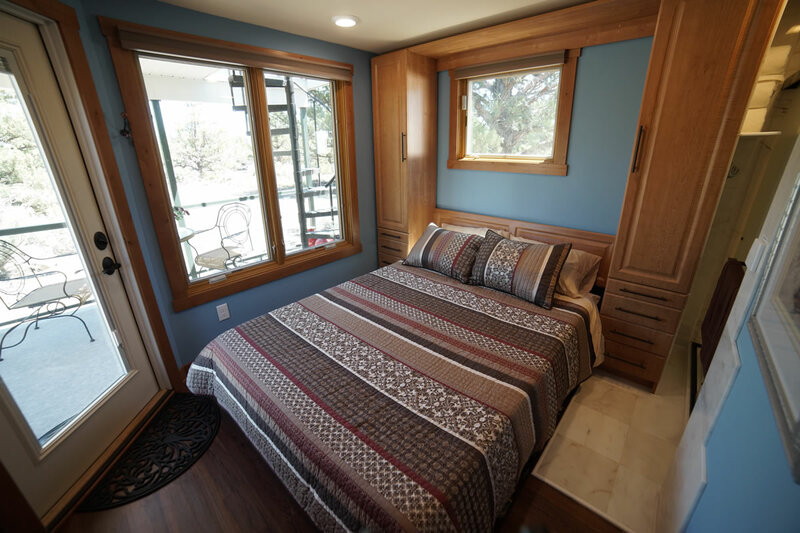 No matter where you plan to lay your roots, the Denali is the perfect retreat for any time of year. 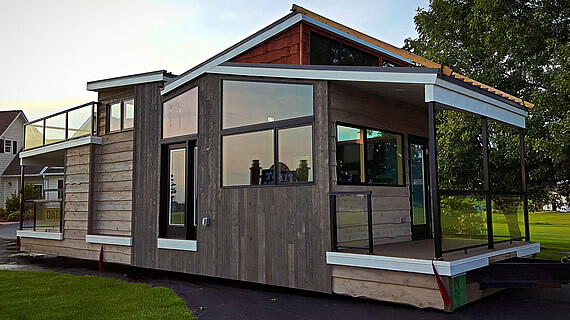 With tons of natural light shining in through beautiful Pella windows combined with unique architectural design, this tiny home brings the outdoors inside! 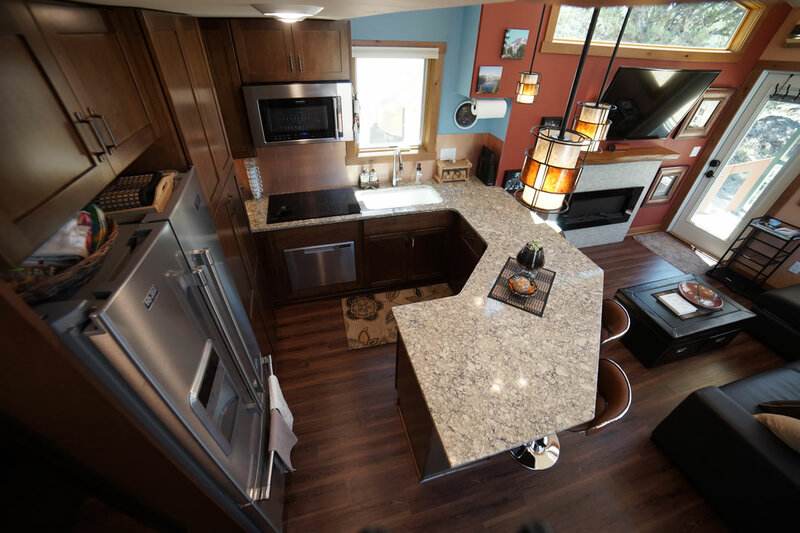 As shown with customer selected options $156, 822.